Frost the brownies with about half of a 16 oz. tub of white frosting (I used Betty Crocker™ Rich & Creamy white frosting). Get the frosting as smooth as possible. Reserve the rest of the frosting - you'll need it to stick the stars on. 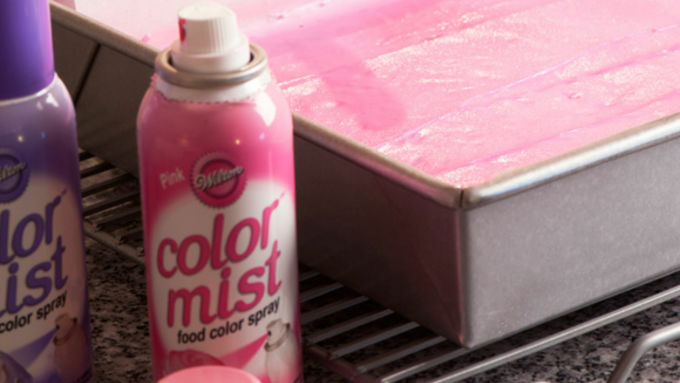 Spray the entire top with hot pink edible cake decorating spray. 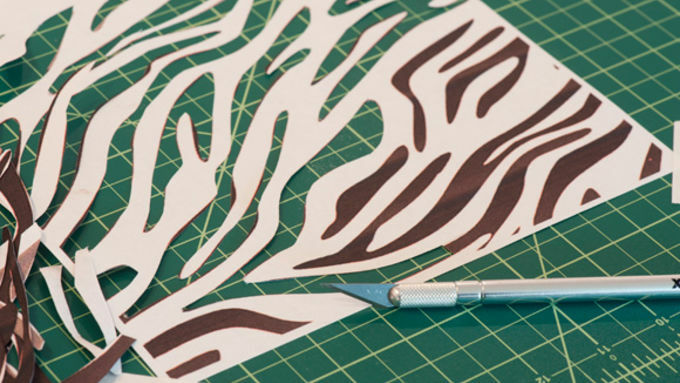 Make a stencil for the zebra print, using white copy paper or parchment paper. Once the pink spray has completely set, place the template gently on the top (don't press!). Holding the purple edible cake decorating spray at least 9 inches above the brownie pan, rotating around to all areas of the pan to cover evenly with the spray. You'll need to do several passes to get an even color, but this is necessary as being more aggressive with the spray will cause the template to move around, and your zebra effect won't be as distinct. Allow the purple spray to dry for a bit while you make the stars. 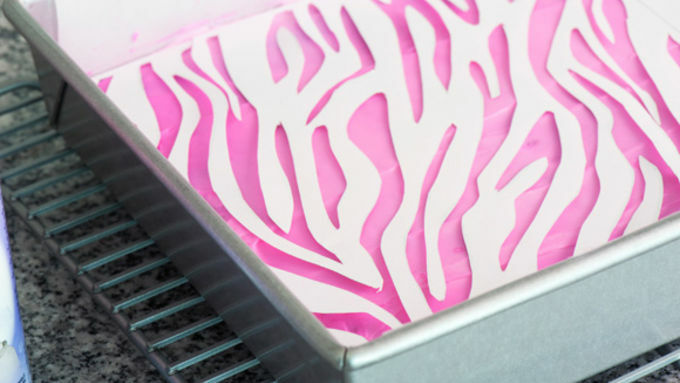 To make the leopard print, you'll need liquid blue food coloring and a little vodka or clear flavored extract to thin it (not a brown-toned extract, unless you want brown leopard spots). You'll need only a teaspoon or two of vodka for each shade of blue. I made a vibrant blue (more concentrated food coloring, less vodka) and a lighter blue (more vodka, less food coloring). 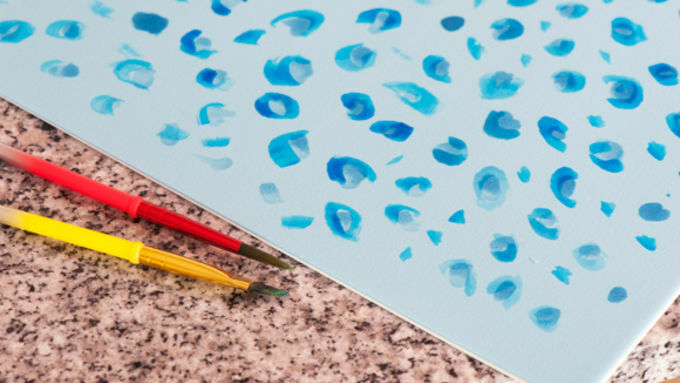 With a paintbrush, dot irregularly with one of the blue tones on the blue sugar sheet. With a smaller paintbrush, partially outline the dots. Add a few random dots here and there to complete the leopard effect. 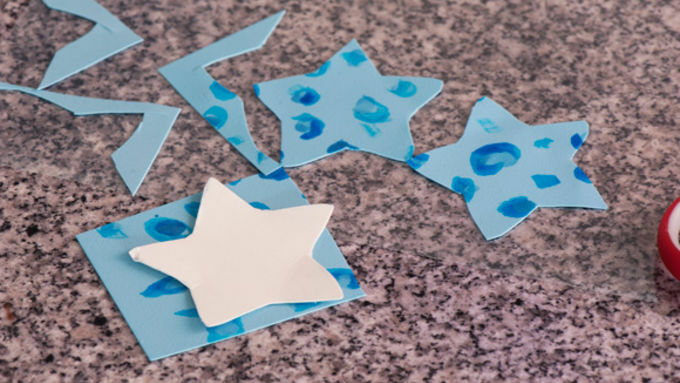 Remove the backing of the blue sugar sheet, and using cardboard stencil (I cut one out of the cardboard in the sugar sheet package), cut out star shapes. Set aside on wax paper until ready to use. Remove backing of the yellow sugar sheet, and cut out stars (again with a stencil). 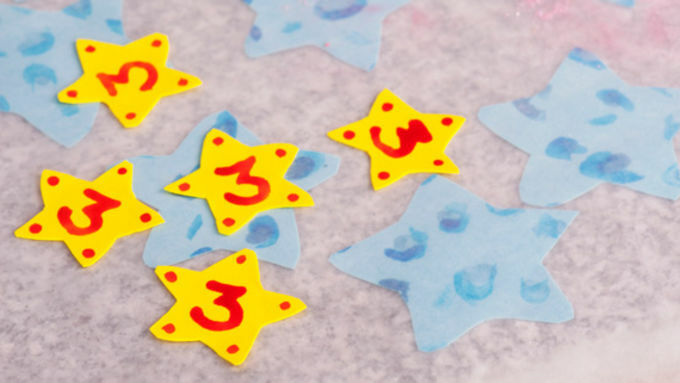 Decorate the stars as desired - I used a red food coloring/vodka mixture to make 3's to celebrate Tablespoon's birthday. Cut out the brownies with a cookie cutter. 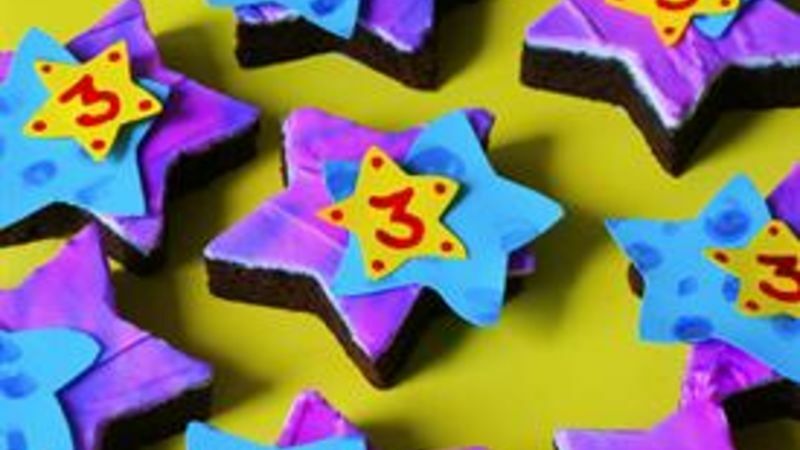 Using the reserved frosting, attach the blue leopard and yellow stars as desired. Here's a fun and absolutely delightful way to celebrate a birthday! And I can't think of a better b-day creation to celebrate with than a batch of party rockin' Rockstar Brownies! So to really do this right, I’m thinking nothing says rockstar than day-go colors, mildly inappropriate spandex, and oversized party shades are the first things to come to mind. There’s not much I can do about the tights and festive eyewear, in the vein of party treats at any rate (thank goodness), but animal prints and day-glo are both easily accomplished. 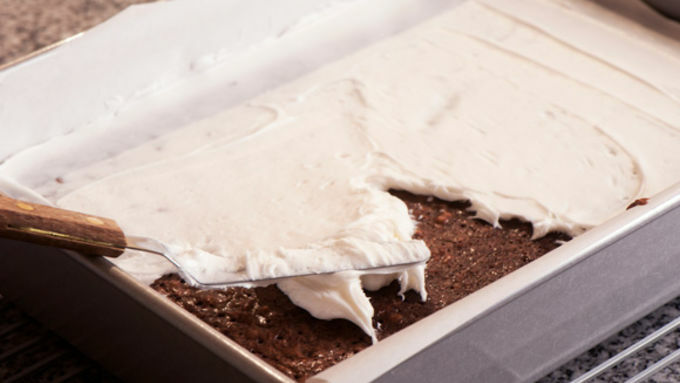 First, you’ll need a pan of brownies, baked according to your recipe or package directions, and cooled. I’m a Betty Crocker Fudge Brownie mix girl, myself. I made the 18.3 oz family-size box for this endeavor, increasing the eggs by 1 (for more cake-like brownies, per the package directions). The stars are made with yellow and blue sugar sheets. I love sugar sheets, as to be perfectly honest, despite my love of food bling I’m not adept or skilled enough to roll fondant at this juncture. The sugar sheets are easy to work with and are also relatively inexpensive at about $4 per sheet. Enjoy your brownies, dance at your party, and make sure every day you're a shuf-shuf-shufflin. 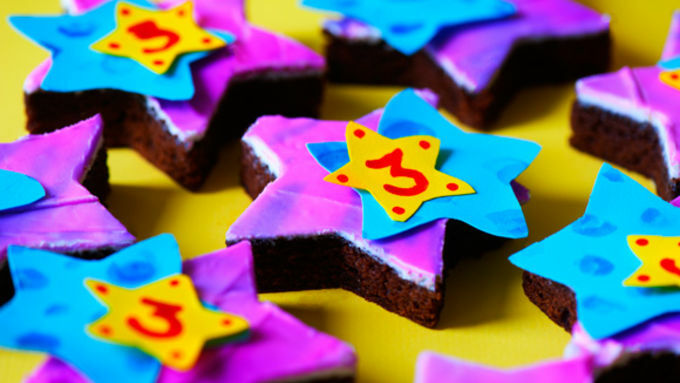 More Birthday Faves Keep the party going with these birthday treats!